Washington, Sep 24 (IANS) A Sikh woman facing a trial for the murder of her husband’s ex-wife in the US, recently left many stunned by accusing her own reputed attorney of stopping her from revealing that her husband actually confessed to her killing that woman. Raminder Kaur, 64, was on trial for the murder last month. Her allegation against a reputed attorney, who has been a supervising attorney in the county’s public defender felony division, has left many in the legal circles around Maryland discussing: “Did her own attorney halt her from telling it, and could it have saved her from spending the rest of her life in prison?”, the Washington Post reported. The controversy marks the latest chapter in what already was one of the region’s most colourful murder trials this year, one that led to first-degree murder convictions against Kaur and her husband, Baldeo Taneja, 63, a PhD-level biostatistician. Both were found guilty Aug 7 of killing Taneja’s former wife after the husband became furious about alimony payments. But less than two weeks after their convictions, Maryland’s Office of the Public Defender took the unusual step of immediately asking for a new trial on behalf of Kaur because of what it described as poor lawyering by her attorney. “This client deserved a vigorous defense, and she didn’t get it,” Paul B. DeWolfe, the chief public defender, said this month about Drew, a staff attorney for the public defender’s office who was based in Montgomery County. 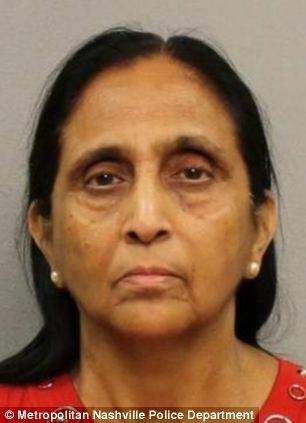 Prosecutors have alleged that Oct 11, 2013, Kaur and Taneja travelled from their home in Tennessee state, spent the night at a Red Roof Inn near Gaithersburg, woke up and drove to the ex-wife’s nearby neighbourhood. When she exited her apartment building, prosecutors argued, Kaur walked up, pulled out a snub-nosed revolver and shot her three times. The couple drove off, made their way to a nearby Amway conference, checked in long enough to try to establish an alibi and headed home.